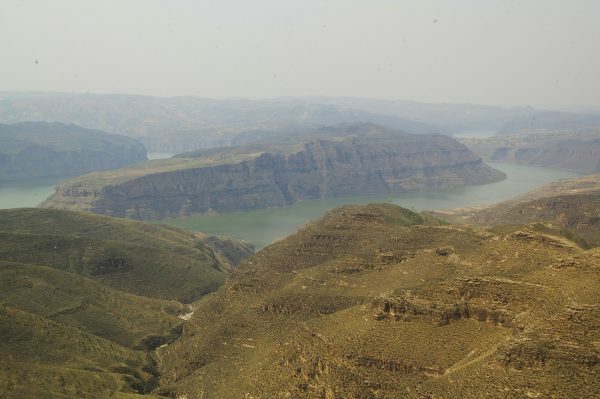 Known simultaneously as “China’s Pride”, the Yellow River has occupied a controversial space in the country’s history. At an estimated length of 5,464 kilometres (3,395 mi), it is the third longest river in Asia and the sixth longest in the world. It originates from the Bayan Har Mountains in Qinghai province of western China and crosses through nine provincial level regions before finally emptying into the Bohai Sea near the city of Dongying in Shandong province. While ancient Chinese civilisation would have been unable to develop without it, its turbulent waters have led to some of the most devastating natural disasters in human history. The Yellow River’s long and winding path through the country can be roughly separated into three sections: the segment northeast of the Tibetan Plateau; the Ordos Loop; and the North China Plain. Characterised by clear waters and shimmering lakes, the upper reaches of the river flow mainly through pastures, swamps, and knolls between the Bayan Har Mountains and the Amne Machin Mountains of Qinghai province. 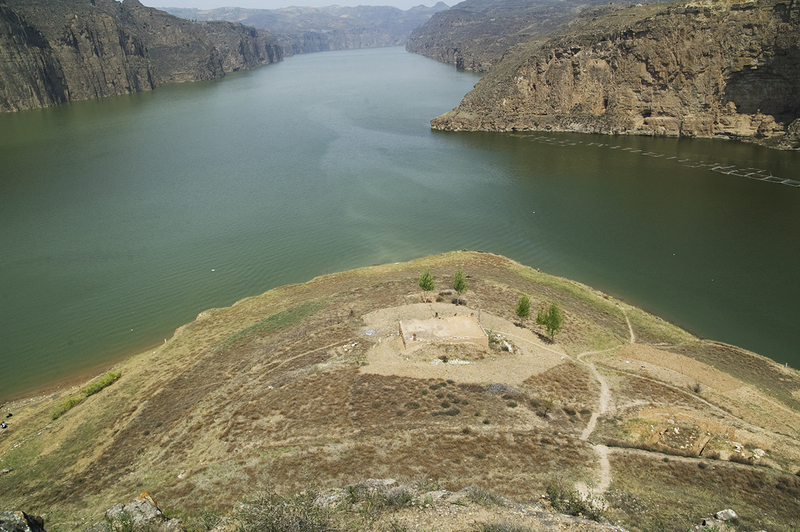 As the river leaves Qinghai province and enters Gansu province, it passes through a series of 20 narrow gorges. A number of hydroelectric plants have been established in this region in order to take advantage of the river’s extremely fast and turbulent waters. The river continues in a roughly northeastern direction until it reaches the town of Hekou in Inner Mongolia, where it turns sharply south and forms the Ordos Loop. From there, it travels south through the Loess Plateau, creating a natural border between the provinces of Shaanxi and Shanxi. It is in this section that the riverbed suddenly tapers down from 300 metres (984 ft.) in width to 50 metres (164 ft.), forming the magnificent 15 metre-high (49 ft.) Hukou Waterfall. As the river winds through the Loess Plateau, it causes substantial erosion and thus accumulates a vast amount of mud, sand, and silt. It is in this section that it takes on its iconic ochre hue, earning it the name of the Yellow River. In many ways, this sediment is both its blessing and its curse. As the river heads east towards the Gulf of Bohai and meanders through the North China Plain, it provides a colossal 140 million people with water for drinking and irrigation. The mineral-rich sediment makes the surrounding farmland incredibly fertile, which frequently results in an abundance of crops. For this reason, agricultural societies were able to survive along the rivers’ banks over 7,000 years ago, and it has been vital to the survival of people in northern China. 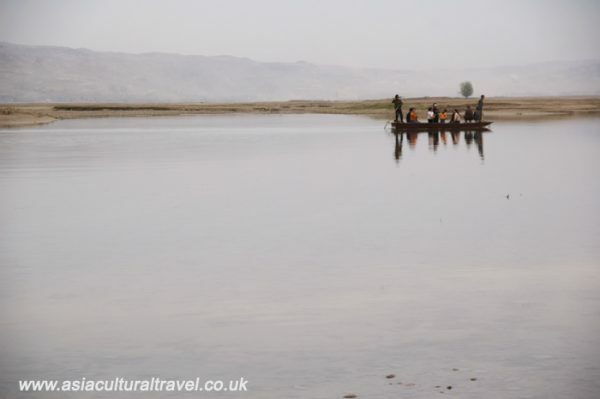 The myriad of Neolithic, Bronze, and Iron Age archaeological sites found within the river’s drainage basin attest to the major role it played in the development of ancient Chinese civilisation. However, in the slower reaches of the river, the sediment is deposited at random in large heaps and eventually forms small subaqueous dams, which in turn elevate the riverbed. This has created the infamous “river above ground”, as high levees are now required to keep the river within its banks. Historically, during times of flooding, the river has broken out of its levees and changed its course entirely, causing mass devastation to the surrounding countryside in the process. The rushing waters would burst forth and inundate everything in their path, including farmland, towns, and even cities. From the year 595 BC to 1946 AD, before the advent of modern dams, it is reckoned that the river shifted its course 35 times and flooded a shocking 1,593 times! In its darkest hours, the Yellow River has been either solely or partially responsible for three of the deadliest floods in recorded history: the flood of 1332, which killed an estimated 7 million people; the 1887 flood, which caused the death of anywhere from 900,000 to 2 million people; and the 1931 floods, which resulted in the death of between 1 to 4 million people. While the floods themselves caused a substantial number of deaths, it was the ensuing famine and pestilence that drove the death toll to such staggering heights. In spite of the incredible danger that the river posed, a surprising number of these floods were actually manmade. From the Warring States Period (c. 476-221 B.C.) onwards, sabotaging levees, canals, and reservoirs became a standard military tactic to deliberately flood areas and cause problems for the opposition. In fact, the devastating flood of 1938 was caused by the Nationalist Government, who blew up the levees at Huayuankou and flooded the provinces of Henan, Anhui, and Jiangsu in a vain attempt to halt the progress of the advancing Imperial Japanese Army during the Second Sino-Japanese War (1937–1945). The plan tragically backfired and resulted in the loss of vast tracts of farmland, the death of approximately 800,000 people, and the displacement of nearly 3 million refugees. In its time, the Yellow River has been responsible for the rise and fall of dynasties; the reaping of bumper harvests and the absolute devastation of crops; the birth of a civilisation and the death of millions of its people. It is the lifeblood that runs through the country, as important to China as the Nile is to Egypt. Yet its power should never be underestimated. After all, as the old Chinese proverb goes: “Water can not only float a boat, it can also sink it”.